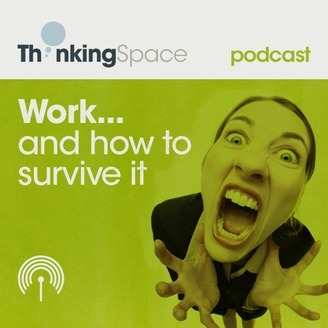 In episode 6 of the Work and How to Survive it podcast, Antony Froggett interviews Dr Myna Trustram about her work with museums. Myna describes her work in museums and explains how she became involved in using the ideas of the Tavistock, Psychoanalysis and Group Analysis to understand the unconscious dynamics of museums. She discusses some of the ideas that she is developing, including the concept of the Museum in the Mind, to understanding our personal and societal relationship to the past. 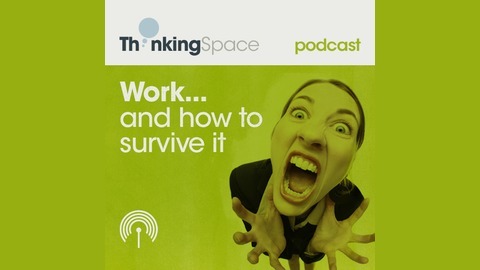 Using her experience as a museum curator and an organisational consultant she describes how the collection of objects in museums can be used to avoid confronting change or in a creative way to "work through" (a Freudian term) personal and social issues. She argues that museums play an important role within society and are important to people by their existence whether or not they choose to visit them. She ends by describing the particular challenges faced by museums in confronting change (for example, due to cuts in public funding) and links this to their task of trying to preserve objects and a wish to not lose elements of the past. Dr Myna Trustram studied history at the universities of Essex and Bristol. Her book, Women of the Regiment: Marriage and the Victorian Army was published by Cambridge University Press in 1984 and re-printed in 2008. She has worked in museums for over twenty years, holding curatorial, management and research posts in London, Southampton, Preston and Manchester. In 2008 she completed the Tavistock Clinic's MA in Organisational Consultancy and in 2009 the Institute of Group Analysis introductory course in group analysis. Her writing and research about the symbolic meaning of museums and collecting integrates these psychoanalytic, museological and historical strands. She is particularly influenced by Tavistock group relations theory, Winnicott and Bollas. She is currently an organisational consultant specialising in research and evaluation. 2011 ‘Response to “Freud’s Antiquities”’, Psychodynamic Practice 17 (1), pp.73-9. 2012 forthcoming ‘The “Little Madnesses” of Museums’ in Annette Kuhn (ed.) Little Madnesses: Winnicott, Transitional Phenomena and Cultural Experiences. London: IB Tauris. 2013 forthcoming Online July 2012.. (with Nick Mansfield). Remembering the buildings of the labour movement: an act of mourning. International Journal of Heritage Studies. 19 (5).